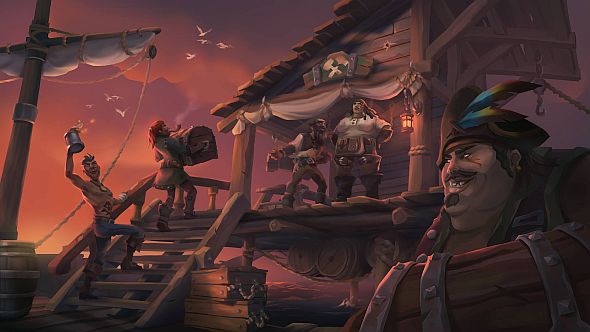 Rare’s Sea of Thieves has been in varying stages of alpha for an array of players for well over a year, and the game’s finally going out to greater number of people later this month. A closed beta begins in January, and unlike the previous alphas this one won’t be under NDA – meaning whether you’re playing for yourself or not, you’ll be seeing plenty more about Sea of Thieves soon. Check out all the big upcoming PC games. The beta begins on January 24 at 4:00 PT / 7:00 ET / 12:00 GMT and ends January 29 at 0:00 PT / 3:00 ET / 8:00 GMT. It will be available to anyone who was part of the earlier Insider Programme, as well as those who’ve pre-ordered the game. Sea of Thieves is the first game in age from Rare, and it’s only recently that it seems we’ve gotten a solid idea of what the pirate adventure consists of. It’s a cooperative swashbuckler, and the developers detailed how progression and questing work back in December. Whether or not you plan to dock for the closed beta, Sea of Thieves is scheduled to release on March 20.